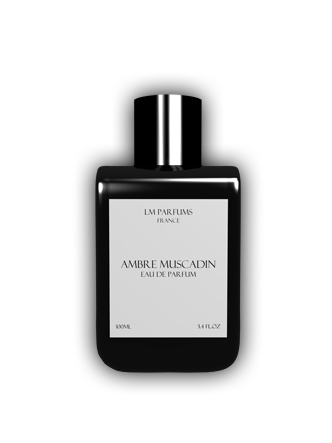 * Ambre Muscadin launches with a blend of sweet woods and violet flowers with a light vanilla. * The projection is massive and longlasting. It broadcasts over a large radius for several hours. * The wood dissipates and the violet gets powdery as it gets sweetened with more vanilla and honey. * The honey is quite sweet and goes right to the border of being too sweet. * The scent kind of stays here and doesn’t change any further except for gradually becoming closer to the skin. Friends of mine who smelled the bottle of Ambre Muscadin on my coffee table said it smelled like baby powder and I can totally see why. However, on skin- when heated up- it really comes to life and radiates. The projection is massive, for 6-8 hours, so think of this as a nighttime scent. It lasts more than 18 hours on my skin, so you will definitely wake up to the lovely smell. If you are considering wearing this to an office, no more than one spray. It might read feminine, but it definitely can be worn by guys quite easily (and I get compliments when I wear it). I am almost afraid to make this next comparison – but the honey note reminds me of the middle wear of Lady Gaga’s Fame, in a good way. Since I am the only perfumista who liked Fame, this is meant as a compliment not an insult. 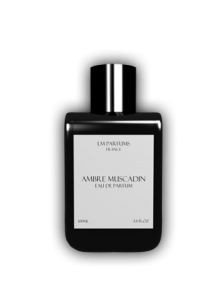 Although its labeled as an eau de parfum, it feels more like an extrait concentration with its sheer power and tenacity. It smells incredibly expensive (probably because it is) but its one of those rare scents that take common notes and elevate them to a higher level. LM Parfums are available through Parfumerie Jovoy (Paris) and other select boutiques as well as online through their website. Disclaimer: No disclaimer needed as I own a bottle. Image courtesy of LM Parfums eebsite.